Intergate Immigration is a leading South African visa application and immigration services company. Since our inception in 2005 we have successfully helped thousands of families, individuals and companies with their immigration to South Africa. There is little doubt that your selection of a company to assist you with your Immigration to South Africa is of course a large contributor to a successful or problematic relocation. The very reason individuals and companies employ the services of an Immigration to South Africa visa expert is to ensure they receive the very best of advice, the most punctual and efficient of services and a successful conclusion. At Intergate Immigration we take pride in offering South Africa’s most comprehensive Immigration to South Africa service. A testament to our service levels and expertise is that the majority of our new clients come from recommendations of satisfied clients and are very happy to supply third party references. Click here to start the FREE Quick Immigration Eligibility Assessment. 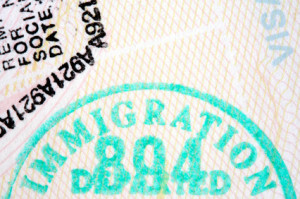 We realise that immigration procedures can be a daunting and complex process. Our immigration services are designed to provide you with the maximum support and a ‘smooth journey’ throughout your Immigration to South Africa. As per our corporate profile, our South Africa immigration services are well resourced by professional and qualified people. Our Immigration practitioners were tested and registered with the Department of Home Affairs. We are a registered South African company with full branches in Cape Town and Johannesburg. Our immigration services cover the whole of South Africa and we can submit anywhere in the world. Our immigration administration team is led by experienced professionals and we have a number of legally trained and multi lingual staff at your resource. Our services are used by multi-nationals, recommended by consulates and we continue to welcome friends and family of the thousands of individuals we have assisted. 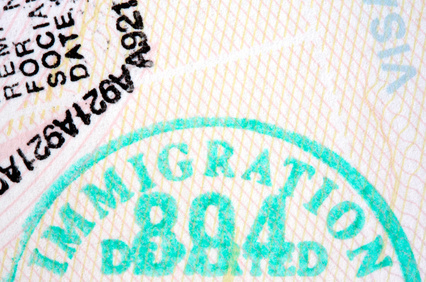 How can Intergate Immigration help me with my Immigration to South Africa? Selecting which South African Immigration Consultant to assist you with your South African immigration.. Simply put, we believe no other South Africa Immigration company offers you the in-house expertise, range of services and number of South Africa Immigration practitioners that we do. Intergate distinguishes itself from it competitors with an unrivalled range of support. The dedicated client manager is there to guide you through your whole immigration to South Africa process and our industry leading personalised relocation report and extranet gives you the opportunity to research every aspect of your move. Furthermore, our purpose built Client Management System ensures you are up to date at all times with your applications progress. So when it comes to Immigration to South Africa, with Intergate Immigration, you are in the best possible hands to receive the right advice and assistance to obtain your visa to travel, visit, live and work in South Africa. Whether you are thinking of applying for a permit or visa our FREE eligibility assessment is the first step in ascertaining whether you meet the visa rules and regulations when applying for a visa for temporary or a permit for permanent residency. Please fill out the online eligibility assessment form for a free feedback from our Immigration Experts. No cost, no obligation for this first consultation. Our experience in South African immigration is second to none. We have helped thousands of families and hundreds of companies with their Immigration to South Africa needs and securing the right South African permit and visa. We are a registered South African company with branches in Cape Town and Johannesburg, but our immigration services cover the whole of South Africa and we can assist with applications to be submitted anywhere in the world. We have submitted and prepared South African visa and permit applications in over 40 countries to date. As per our corporate profile, our South African immigration services are well resourced by professional and qualified people. Our Immigration practitioners were tested and registered with the Department of Home Affairs. Our enviable success rate is indicative of our attention to detail, our immigration administration team is led by experienced professionals and we have a number of legally trained and multi lingual professionals at your resource. Our services are used by multi-nationals, recommended by consulates and we continue to welcome friends and family of the thousands of individuals we have assisted with their Immigration to South Africa. When it comes to immigration to South Africa and obtaining the correct South Africa Visa you could not be in safer hands. Click here to start the Free Quick South Africa Immigration Eligibility Assessment. Whether you are in the early stages of planning your South African Immigration, need advice on the possible South African Visa solutions, or wish to start your Immigration to South Africa with a proven immigration expert, contact Intergate Immigration, South Africa’s leading immigration experts. We are here to make your plans to immigrate to South Africa become a reality. You can take our free one minute assessment here or request a call back for more information. Or simply call us on either +27 (0)21 424 2460 or +27 (0) 11 234 4275.